The Blenders, one of our favorite groups of all time, and whose Christmas CD on PAC Records, "Nog," has been our best-selling Christmas title, have a new Christmas CD! "Carol of the Bells" segues into a surprising, jazzy, blue-note vocal-percussion "Twas the Night." "Walkin' in a Winter Wonderland" is a funky, bopping rap romp (with some non-vocal percussion). The sweet "Hark the Herald Angels Sing" has the trademark Blenders harmonies. "When It Snows" is a powerful original, "One Small Child/We Three Kings" is dramatically beautiful. The atmospheric original "Pure Imagination" segues into a finger-snapping "White Christmas," a funky "Santa Claus Is Coming To Town," a touching falsetto "O Come All Ye Faithful," "Sleigh Ride" is a parody of the Velvet Underground's "Walk on the Wild Side," and a final sweet, rhythmic original, "Tiny Little Christmas." Some non-vocal percussion and keyboards on some cuts. 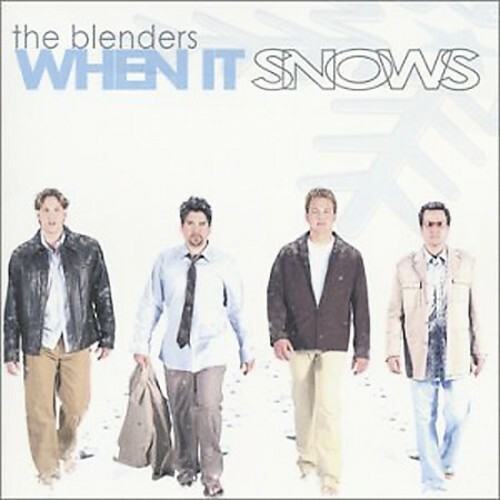 A striking, innovative Christmas CD by the Blenders!